About a week ago, I was in my room, using my computer, when I heard my boyfriend holler in the living room. I got up to see what the fuss was about. He told me there was a huge iguana who just invited herself in and she was currently taking refuge behind our couch. Ok. No problem. I have experience with reptiles. My brothers used to keep several as pets. So, my idea was to shoo her from behind the couch right out the front door. Piece of cake. But, my boyfriend had a better idea. Why not corner her with the broom so he could pick her up? What a great photo op that would be! Hey! Maybe we could put it on the cover of the next issue of Quepolandia. Back in Quepos/Manuel Antonio – this being my 7th journey to Costa Rica and every time there is always something to write home about. I choose to be on foot while living here for 3 months and find myself discovering wonderful quiet side roads, waterfalls, and pristine beaches. Into my second week I head out to the local playa with my dog Candi to spend some time for a swim. I notice movement on the rocky ledge and walk closer. Whow! “What are you doing here?” I ask. Thus my conversation with a sloth begins. This fellow obviously has fallen from a tree and there isn’t a tree close enough for him to climb back on and be where “a sloth should be – up a tree”! It’s time to make your voice heard in the community by voting for your local favorites. The results will be published as an eBook and a print book titled, “The Best of Manuel Antonio & Quepos, 2013.” This community project will culminate in a local event to honor the winners (date and location to be announced). The deadline to submit this questionnaire to evegal22@gmail.com is January 31, 2013. My paternal ancestors emigrated from Ireland in the 1850s and settled in the geographical center of Michigan’s Lower Peninsula as pioneers. My great-great-grandfather, and other Irish immigrants, named the counties of Clare and Roscommon in Michigan after their Irish home counties. 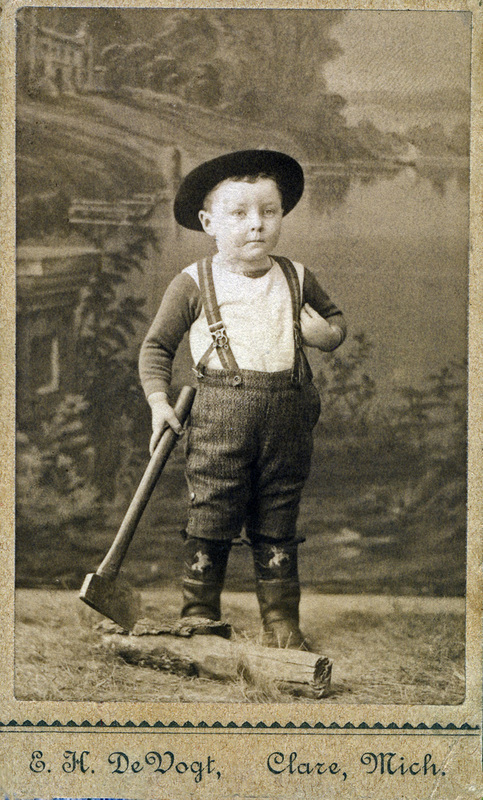 My grandparents, Will and Mildred Dwyer moved south to Jackson, Michigan, so that grandpa could take a U.S Post Office job that involved being in charge of the mail car of a Michigan Central RR train that ran daily between Jackson and Saginaw. 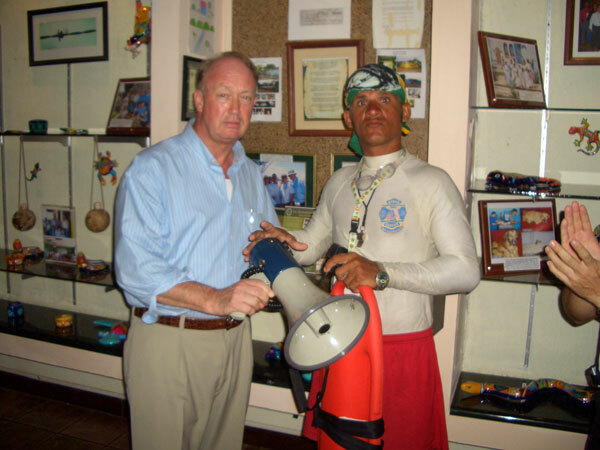 Ever since the City of Quepos signed a Sister Cities Agreement (SCI) with the City of Fort Lauderdale now more than 7 years ago, the Ocean Rescue Committee of the Chamber has been looking for ways starting our very own Manuel Antonio Beach Ocean Rescue Program. The Quepos Sister Cities Organization together with the Chamber of Commerce, Industry and Tourism of the Canton de Aguirre sent several delegations to Fort Lauderdale to compare notes with the Ocean Rescue Unit of the Fort Lauderdale Fire Department. Each participant paid for his own trip and no Chamber membership dues were used during any of these trips. A Quepos/Manuel Antonio outreach group held their second “Day at the Beach – Holiday Gift Party” at Manuel Antonio beach on Sunday, December 18, 2011. The gathering was held for the benefit of eleven members of Our Lady of St. Carmel Home based inSan José who are battling HIV/Aids. The first gathering of this type was held after a Workshop on Diversity was presented at the Copasa Community Center in Quepos on July 02 last year. Those attending the workshop were deeply moved by the stories told by those affected; stories of personal suffering and family rejection they had endured. The success of this event prompted group supporters to schedule the event regularly. The community outreach group provided transportation for the guests fromSan José to Quepos/Manuel Antonio and back, refreshments at the beach and a luncheon at the Hotel Makanda. 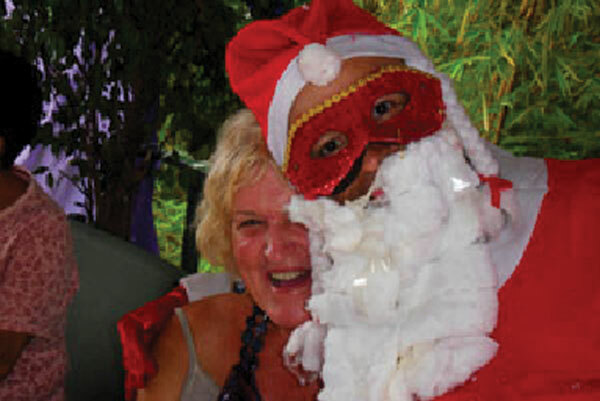 Luncheon guests were treated with a surprise visit by Santa Claus bearing yuletide gifts. The local outreach group is asking for additional volunteers that would be willing to give their time and/or resources to contact Rick Kendle at 2777-4992 or Gypsy Rose McKee at 2777-1898. 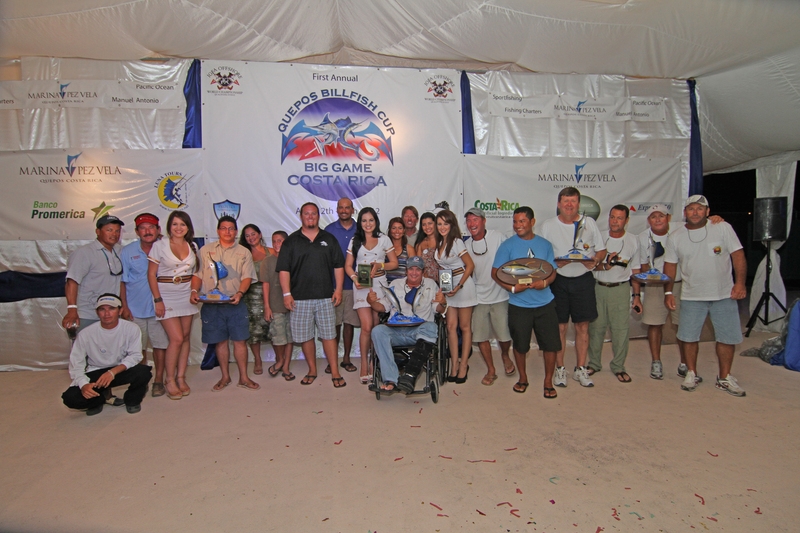 Want to impress your family and friends with your next Quepos fishing trip? Throw these terms around when you get back home describing your adventure, and you will have everybody around you green with envy! Meet us here in Quepos for some Costa Rica fishing this high season! Bluewater: The clear cobalt water that billfish and other predatory fish prefer to hang out in offshore, the magical place where memories are made! Bring to color: Bringing a fish to visibility in the water during a fight, hence “I see color!”. The International Analog Forestry Network (IAFN), with a donation from the Government of Netherlands and Cordaid.org, has recently opened its worldwide secretariat office in Quepos, located in the new office building facing la Escuela de Corea. 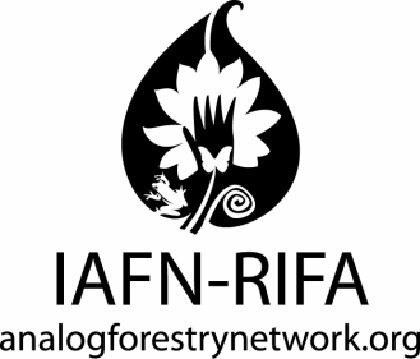 The IAFN network (www.analogforestrynetwork.org) is comprised of 27 CBO’s (Community Based Organizations) and several individual members in six continents; all working independently on biodiversity restoration through Analog Forestry (AF). Founded in 1996, the IAFN has three Costa Rican members, CATIE in Turrialba, ARBOFILIA in Carára, and the Centro de Capacitación de Bosques Analogos of Milo Bekins Faries, in Londres de Aguirre. There’s a new guidebook in the works by local nonfiction author Evelyn Gallardo, best known for her book, Among the Orangutans, which was set in the exotic location of Borneo. Evelyn’s new book will be set in another exotic location but this time much closer to home. The working title is The Best of Manuel Antonio & Quepos 2012, which will feature the best restaurants, tours, activities, services, artists, musicians, etc. Evelyn and her husband David have lived in Manuel Antonio since 2004 and own two vacation rental homes here. In a former corporate life in California Evelyn was the marketing director for an international firm, an experience that has served her well in the marketing of her vacation rental homes. The goal of this guidebook is to attract tourism to all the businesses in Manuel Antonio & Quepos and to create buzz on the Internet about traveling to our dynamic destination. But who’s going to read a guidebook about our little piece of paradise? The intended audience is potential and returning tourists. In addition, local businesses are welcomed to use the book as a marketing tool. Winners in each category will be given access to a “Best of…2012” seal designed by local artist Adrian Valle to use on their web sites, business cards and other advertising material. This eBook will be downloadable from Amazon.com giving instant access to an international audience at an affordable price. The beauty of an eBook is that it can be easily updated online so that the information will remain current as opposed to guidebooks in print that run the risk of having outdated information by the time they become available to the public. Who knows? 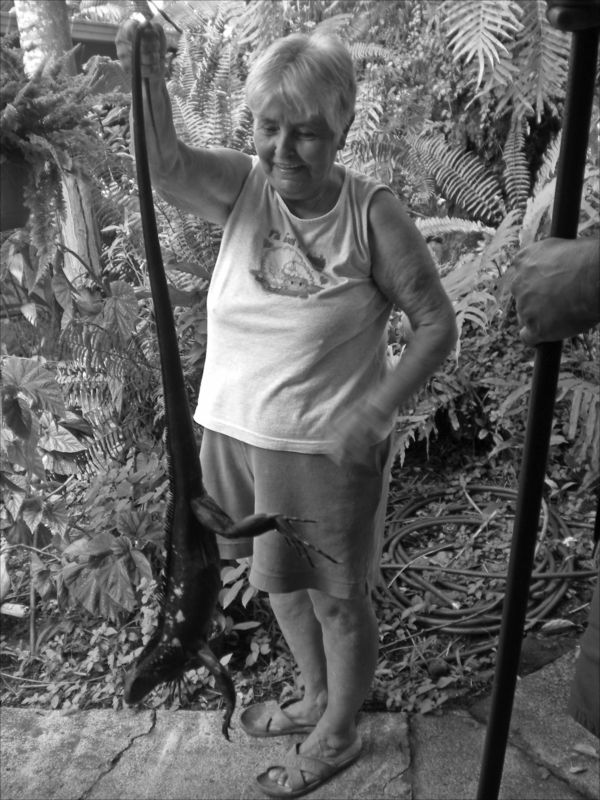 The Best of Manuel Antonio & Quepos 2012 may even become an annual publication. So, who decides what the “best” is? That’s where you come in. 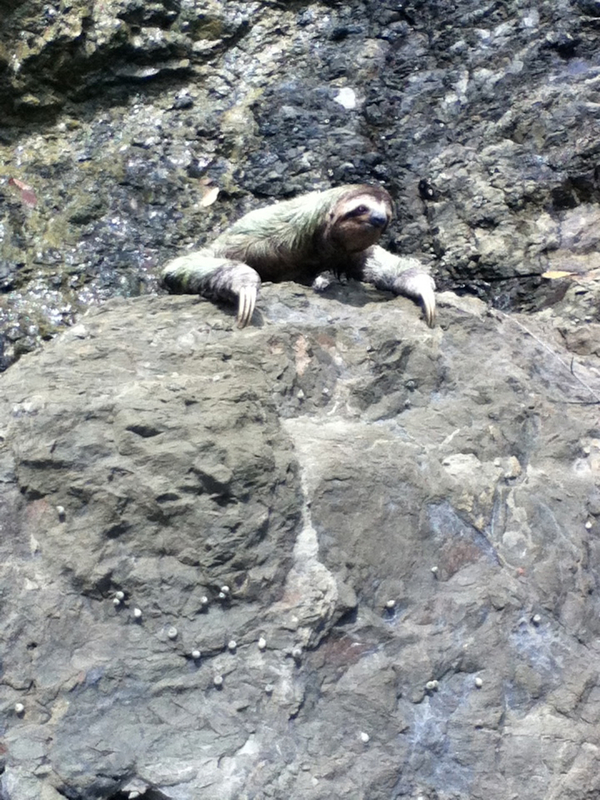 Who knows Manuel Antonio & Quepos better than its residents? Nobody! So, cast your votes in the poll below and be a part of it. Don’t worry about filling in every single blank. Just vote on what you know. As an option you may add your name and/or business contact information if you’d like to be included as a contributor. The projected publication date is January 15, 2012 but be sure and check for the final publication announcement right here in Quepolandia. The deadline date is now. Go ahead. Cast your votes before you get sidetracked by something else. Who knows? If we have enough contributors there may even be a publication party. Complete the Poll after the jump. I was so depressed last night thinking about the economy, wars, jobs, my savings, Social Security, retirement funds, etc., I called the Suicide Hotline. I got a call centre in Pakistan , and when I told them I was suicidal, they got all excited, and asked if I could drive a truck. One Sunday afternoon in the sleepy village of Matapalo, while enjoying a visit with my friends Susanna and Jean-Louis Mari, owners of Express del Pacifico Restaurante, a “new face in town” entered to have a cold beverage and some conversation. 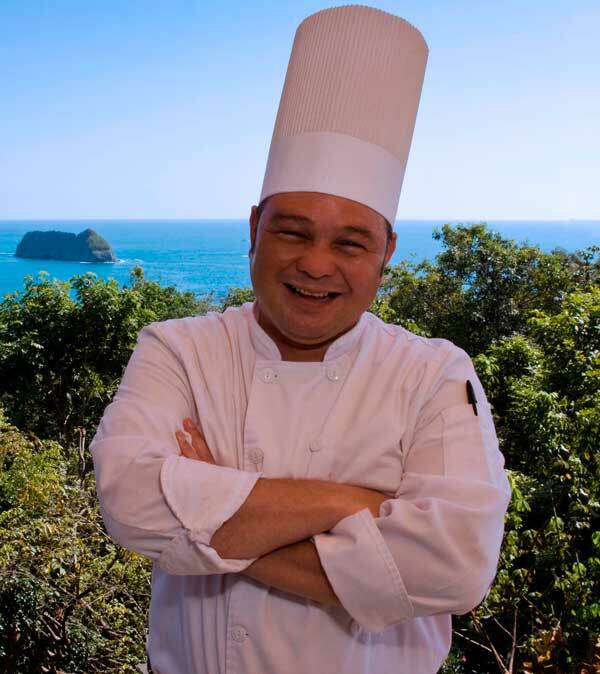 After exchanging pleasantries, we found out that Edgar Vargas is the new executive chef at Parador Hotel’s restaurants in Manuel Antonio – enjoying his day off in our little slice of paradise. PAWS: What a difference an organization can make! I’ve been coming to the Quepos area for the past 10 years and moved here over two years ago. As many of us that travel here, I fell in love with the climate, the beaches and the abundance of wildlife. However, the one thing that always broke my heart was the number of street dogs and cats and the lack of care the animals received. I was saddened that there wasn’t any way to systematically help these underfed animals that were sleeping on the street and in poor health. Then PAWS (Pets of Aguirre Welfare Shelter) was formed. PAWS is a non-profit organization and its sole purpose is to help improve the overall wellbeing of the animals in our area. PAWS Mission Statement is: To provide no-kill solutions to reduce the number of homeless cats and dogs through education, rehabilitation and re-homing. This non-profit has three major goals. The first is to provide low cost spay and neutering clinics in our community and the surrounding areas of our canton. Since PAWS began 1 ½ and years ago, well over 400 animals have been spayed or neutered at various low-cost clinics. Our local veterinarians have graciously given their time and resources to perform these procedures at the PAWS sponsored clinics. This effort has greatly improved the health of these animals as well a preventing the birth of unwanted litters of puppies and kittens. On average, PAWS organizes a major castration clinic every 6 to 8 weeks with smaller clinics interspersed when needed. PAWS has begun a program of early castration of puppies and kittens before they are adopted assuring that they will not reproduce when mature. One $25 donation will spay or neuter 2 of these puppies or kittens! According to the Humane Society of the US, a single female cat can have three litters a year with an average of five kittens per litter. In only seven years, she and her offspring could potentially produce 420,000 cats. In just six years, one female dog and her brood can produce as many as 67,000 puppies! A special meeting with US Ambasador Anne Slaughter Andrew, and US Consul General Paul Birdsall, was hosted by the Chamber of Commerce of Aguirre. This meeting was at the invitation of the Security Committee of the Chamber, arranged at the request of Chamber President, Harry Bodaan. The focus of this meeting was to discuss and determine how to improve security and safety of US citizens, tourists, and investors living abroad in Costa Rica, and particularly, to discuss the Central Pacific area’s concerns with rising incidents of violent crimes, and problems concerning the current justice system.